This month, I was inspired by another teacher to hold a little challenge; I changed the alarm on my phone to play Carnaval, Op. 9, by Schumann, the composer featured in this month's issue of Piano Explorer. The alarm was set to go off at some point during each student's lesson. If they were able to name the piece, they could have a Hershey's chocolate kiss from my candy dish. 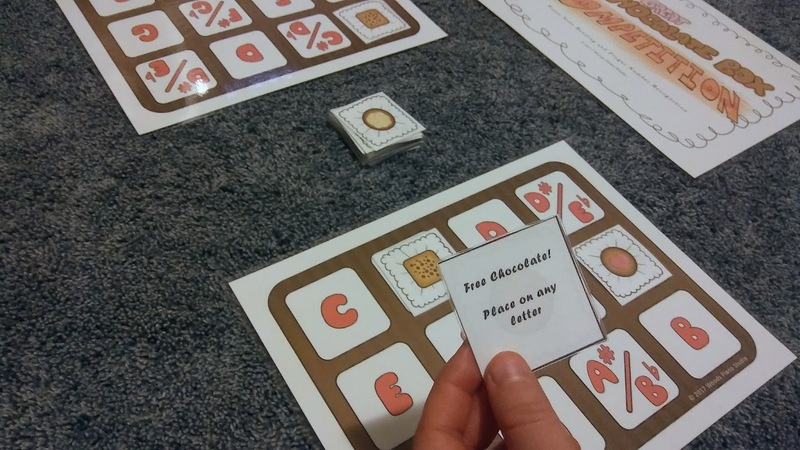 Most of my students love chocolate, and this, combined with the need to review note reading and recognizing piano finger numbers, inspired a new game! 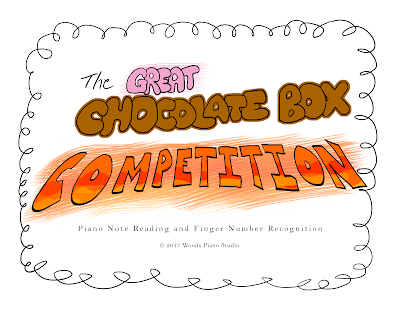 The Great Chocolate Box Competition is a musical game for 2 players/teams, designed to strengthen note reading and finger number recognition. Players take turns drawing cards, playing the notes on the piano with the correct finger numbers, and then placing those cards inside their own chocolate box game board. The player that fills their chocolate box first wins the game! Be sure to visit my Teachers Pay Teachers store to grab your own copy of The Great Chocolate Box Competition Game! I love this idea! What a great way to remember notes! Thank you! My students love it!